GREAT OPPORTUNITY TO OWN A LIVE AND WORK SPACE OR MIXED USE LANDLORD PROPERTY! High Traffic Area. 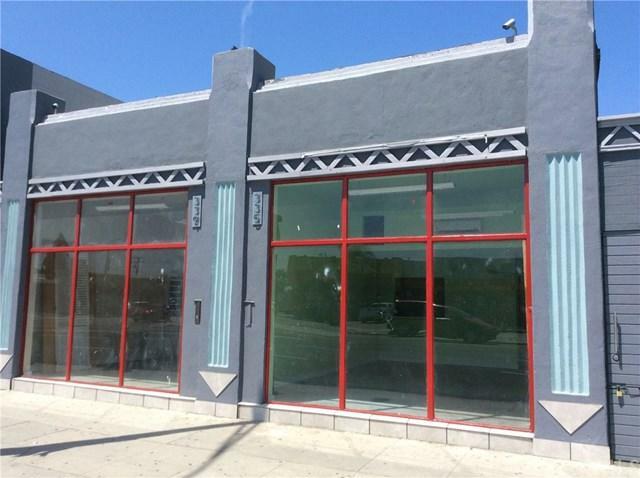 Two front offices with their own private bathrooms and PCH off street visability. Check with city to find out types of business that can be conducted. One Bedroom 3/4 bath that has been remodeled. Very bright with a skylight in the dining area. New lamanite flooring through out. There is a private back yard with a beautiful painting on the side wall. Off street parking only. If you want a live and work space FHA has a new 3.5% down loan. SELLER MAY CARRY WITH A 30% DOWN PAYMENT also. Listing provided courtesy of Rhonda Willis of Berkshire Hathaway H.S.C.P.